Opened to the Public on February 2010. This Forum is Privately Owned by Val under her Business name of One Tiger, LLC. 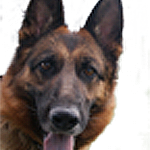 Quite some time before February 2010 Val had thought about having a GSD forum. She was a Mod. and Admin. on another board that was good, but the owner of the board was an absentee owner which limited the things that the Admins. could do. The timing wasn’t ever right so she continued to volunteer her time to that board. But in January of 2010 things changed on that other board and that bought about the “German Shepherd Home” forum. Mission Statement for “German Shepherd Home”. exchange ideas and information about breeding, training, health and behavior issues. 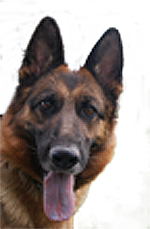 To support the rescue community and highlight their tireless efforts to help GSDs find a forever home. I hope you will feel this as “Home” just like many members already have.